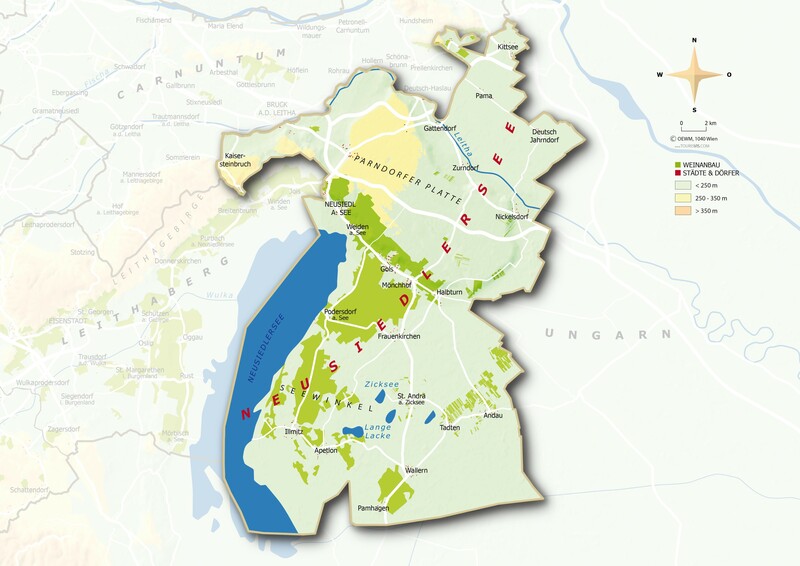 Well-known viticulture communities are Andau, Apetlon, Frauenkirchen, Gols (one of the largest in Austria), Halbturn, Illmitz, Kittsee, Mönchhof, Neusiedl on the lake (only part of the vineyards), Tadten, Pamhagen, Podersdorf, St. Andrä, Wallern and pastures. The "Seewinkel Wine Route" starts at Neusiedl am See and runs along the Hungarian border, past the nature reserve "Lange Lacke" and leads back to Neusiedl. Among the best known vineyards count Altenberg, Old sentence, Bless, Reason, Gabarinza. Goldberg. Hallebühl, Heathland, kreuzjoch. Neuberg, Reitäcker, Salzberg, Sheep Gliding, Siebenmahd, mirror, Street fields, Ungerberg and gussets. Like everyone else waters The Lake Neusiedl exerts a positive regulating effect on viticulture. 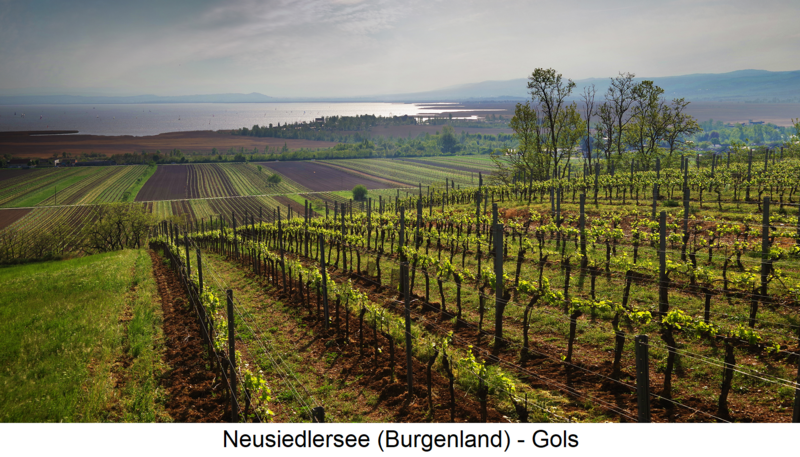 The climate is characterized by Pannonian and continental influences, the large Lake Neusiedl has a climate-regulating effect and acts in autumn in conjunction with the occurring mist as a heat storage. This also contributes to the formation of Botrytis (Noble rot) and thereby the production of very sweet Crying, which has a very long tradition in this area. The growth cycle is above average for up to 250 days a year. When soil types dominate loess, black earth, gravel and sand soils. Classic : The expansion can be done in a steel tank or in a large wooden barrel. The variety Zweigelt must have at least 85% share. The existing one alcohol content must be at least 12% vol. The specification of a Riede is not permitted. The wines need one varietal. fruity and spicy Taste. The application may be submitted at the earliest from 1 February of the year following the harvest. reserve : The expansion can be in large wooden barrels or in Barrique respectively. The existing alcohol content must be at least 13% vol. The variety Zweigelt must have at least 60% share, the rest can autochthonous Be varieties. The wines must have a varietal, fruity, spicy and strong taste. The application may be submitted at the earliest from 1 February of the second year following the harvest. This page was last modified at 30 January 2019 at 09:07.